Jim Mills Guitars is a one man workshop located in northern N.S.W. building and repairing guitars since 1980. By handcrafting each instrument using only the finest materials available, the aim has always been to produce guitars of high quality. Kim Lissarrague has been making musical instruments for over twenty years, with the main focus on the Australian style of new generation guitars. Kim makes Lattice braced, arched back, classical guitars which are known world wide for their powerful volume, great playability and beautiful tone. Each guitar is hand made from the highest quality materials. For the past 4 years, Shane has designed and hand crafted steel string guitars and harp guitars from his Melbourne workshop using tone woods from both hemispheres to create instruments that are highly responsive, incredibly playable and aesthetically refined. His works are influenced by the aesthetics of the world’s contemporary guitar making scene, modern finger style guitar music as well as his personal tastes as a guitar player. Relocating to Victoria's picturesque Yarra Valley in early 2015, Shane builds 8-10 instruments per year and has exhibited at events including Port Fairy Folk Festival, Melbourne Guitar Makers Festival, Canberra’s National Folk Festival and the Holy Grail Guitar Show in Berlin. Jack Spira started making instruments in the 1980's in England. He set up a guitar business in NSW in 1991 and moved to Victoria in 1999, where he still lives and works. He has made many guitars over the years, mostly steel string flat top guitars. He has also made many Irish bouzoukis/ octave mandolins, developing his own style and design of both guitar and bouzouki. In 2007 while researching his grandfathers occupation as a luthier Roderick was encouraged to give lutherie a try. After completing his first instrument, a 4/4 violin, Roderick set his sights on the arched top guitar. Roderick uses only top quality tone woods that are sourced locally and internationally, he uses traditional and also more modern techniques in the construction of his instruments. His obsession with the art of the hand carved arched top guitar is uncompromising. Roderick's guitars have a unique aesthetic and elegance that harks back to the golden age of lutherie. His guitars are classic jazz instruments that exhibit projection, noticeable mid-range warmth and beautiful natural tones that are balanced and articulate. Roderick is always happy to show potential customers around his shop and listen to specific requirements they have, striving to produce the instrument of their imagination! Shoma Subotic is a Melbourne based luthier that produces acoustic guitars under the name of Shoma Acoustics. His mechanical background and passion for woodwork and music fused together and led him to a career in guitar making. 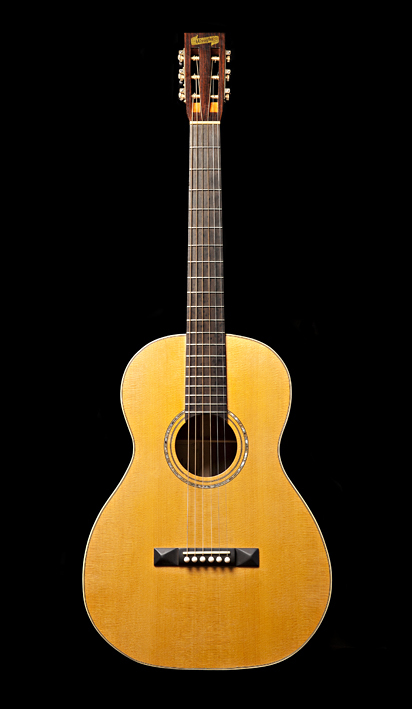 Every Shoma Acoustics guitar is produced with finesse and immense attention to detail, creating unique sounding fine instruments. 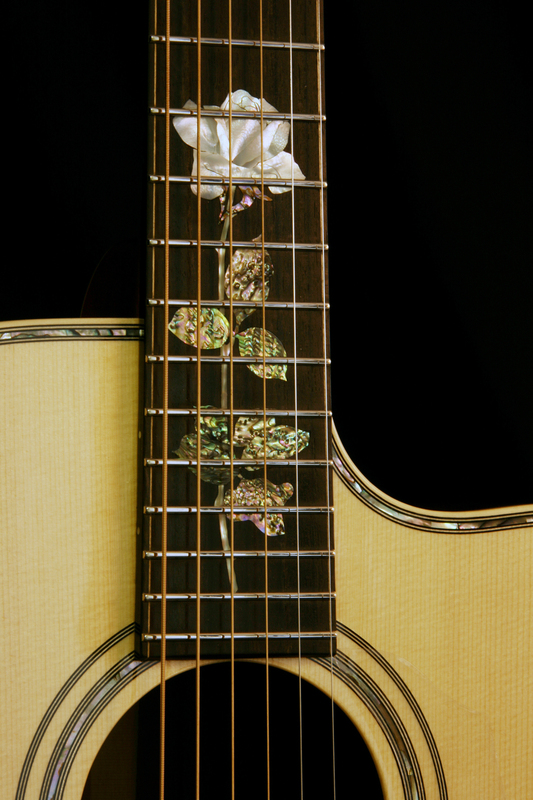 His guitars are produced to order, allowing every unit to be customized to meet the clients specific requirements. He is currently producing variations of three models: SAD28- dreadnought size, SAT12- smaller body (OOO size) and its cutaway version SAT12C. Wiroon Songbundit began making guitars when his 5 year old son started guitar lessons. Wiroon couldn’t find a small body guitar for him anywhere, and so decided to make one himself. He copied a standard sized guitar and simply scaled down the measurements. Unfortunately, the guitar didn’t hold tune, the experience inspired him to further pursue guitar making. He began building under the guidance of Karl-Heinz Roemmich and Yuichi Imai. In 2005, he attended a course held by Jose Luis Rimanillos and his son, Liam on traditional spanish techniques. Wiroon’s guitars have been described as having a deep tone and a sweet, well balanced sound earning him prizes in guitar shows across Thailand, Italy and Indonesia. 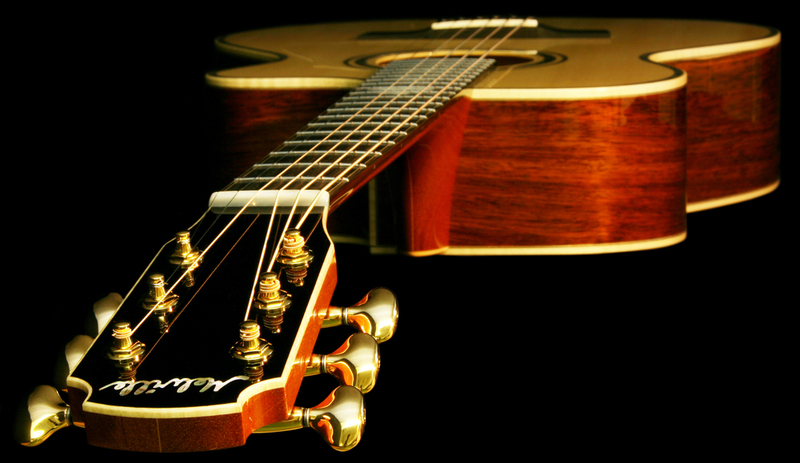 Wiroon specialises in classical and steel string acoustic guitars and also teaches guitar making in Thailand. David Aumann, from Aumann Stringed Instruments, has been building guitars, mandolins and ukuleles on a semi-regular basis since the 1980s. His retirement from teaching two years ago has allowed him to concentrate more on making. Demand has dictated that his current primary output is ukuleles of all sizes, including his self-designed bass ukulele and several custom configurations. David has spent time in USA with a master guitar builder and is very prepared to experiment with alternative, sustainable woods. 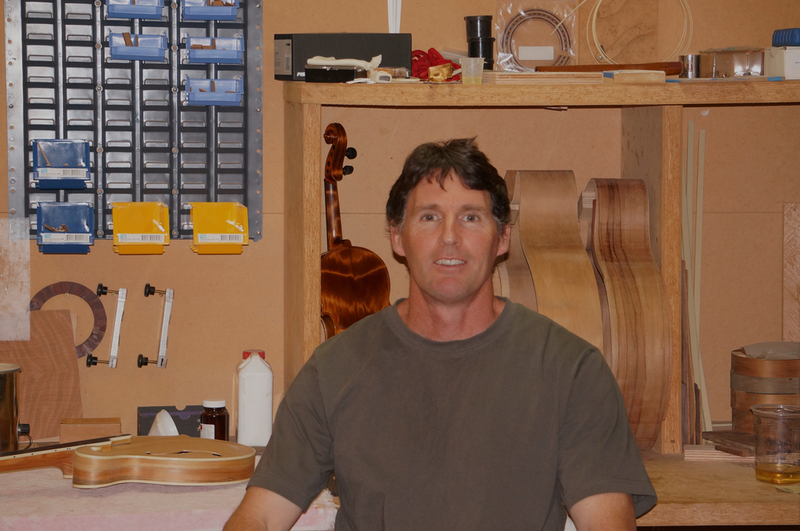 David works from his home in Heathmont, building custom made instruments to meet the specific needs of his clients. Don Morrison has been making his Donmo brand resonator instruments in Adelaide for around twenty years. He makes them from brass, steel, copper or wood but Don is most well known for his Rustbucket guitars made from old sheets of corrugated iron that he rolls flat and then solders into the most powerful and remarkable sounding guitars, ukuleles and mandolins that are sold all over the world. So far there are nearly 350 guitars, 55 mandolins and 75 ukuleles made by Donmo spread over on all but one of the world’s continents. Anyone going to Antarctica soon? 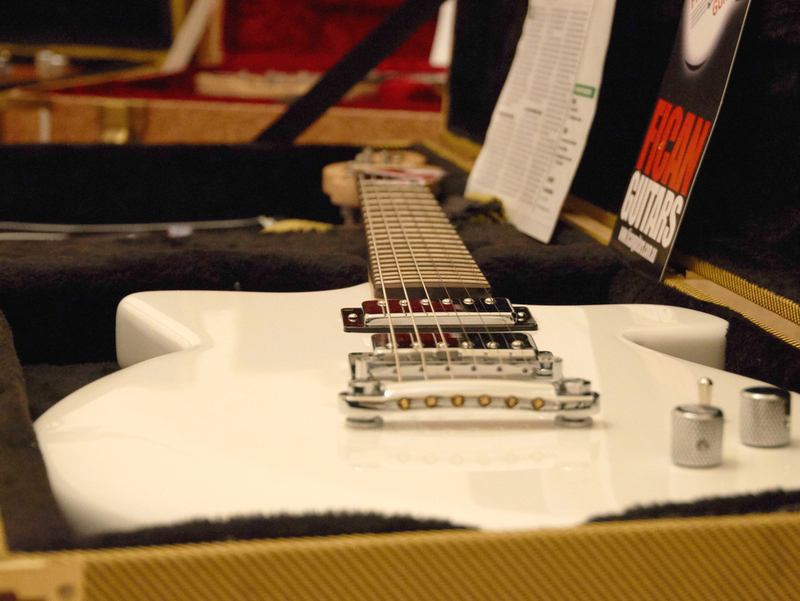 Stuart Monk from Fican Guitars is a Sydney based maker of handcrafted electric guitars. He began guitar making after an accident in which he damaged his left index finger. Following the accident, Stuart, who is also a solo acoustic artist, found it difficult to play his guitar and decided that he needed a thicker neck to make it more comfortable to play. He purchased some Fijian Mahogany and Canadian Maple and began researching guitar making techniques. Along with wood working friend, Jeff Cassato he made his fist guitar which featured a treble clef shaped headstock and a body inspired of the shape of Australia. Soon after, Stuart established Fican Guitars which now boasts 3 guitar models, 2 of which have been reviewed in Australian Guitar Magazine. Fican guitars are known for their unique designs that well and truly swim against the tide of traditional electric guitar design. They have been praised for their great playability, impressive tone and versatility. 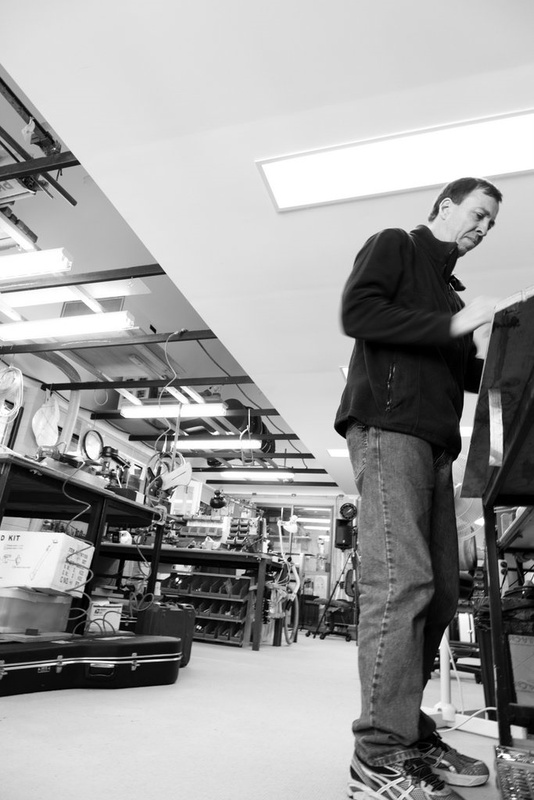 Chris Melville has been building and repairing guitars full time for 27 years. A master in his field, his premium Grand Concert Style guitars, are a true testament to his knowledge and uncompromising approach. “If the impact of one detail upon another is not properly understood then the result will be much less than it could have been”. Repairs, restorations and service work have always been a component of his business and an important part of his custom building success. Playing and assessing different makes and models of guitar every day, from a builders perspective, is a rich resource indeed. Daniel Hoban is an independent Guitar Maker based in Northcote, Melbourne; he individually crafts steel and nylon string guitars and mandolin family instruments; mandolin, octave, mandola and mandocello, using traditional and contemporary styles. His attention to fine detail is notable and this combined with his dedication to using carefully selected timbers of rare beauty, result in instruments each with unique character and rich tone and balance. Daniel is also a skilled repairer and has expertly restored many vintage, antique and contemporary instruments. Daniel studied guitar making in Manchester, UK, completing a diploma in musical instrument technology in 2008, after which he returned to Melbourne to establish his own workshop in 2009. 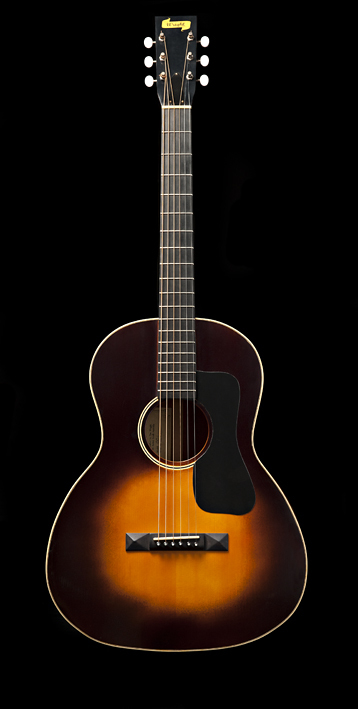 Hancock Guitars was founded in 1992 when Kim Hancock and his sons Dane and Sean built their first guitar. The family have worked together since, sharing a passion for building instruments and building Hancock Guitars into a leading producer of custom and handmade guitars in Australia. The Hancock Guitars workshop is a traditional luthier shop where guitars are individually crafted by hand from the finest tonewoods. 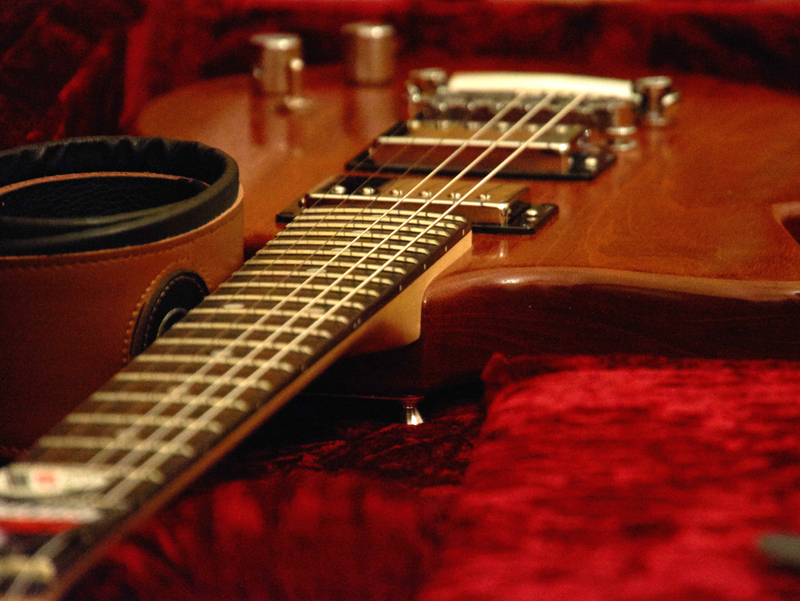 This traditional way of building guitars allows for a very high standard of quality. As each instrument is made individually no two are identical and each has its own unique character. 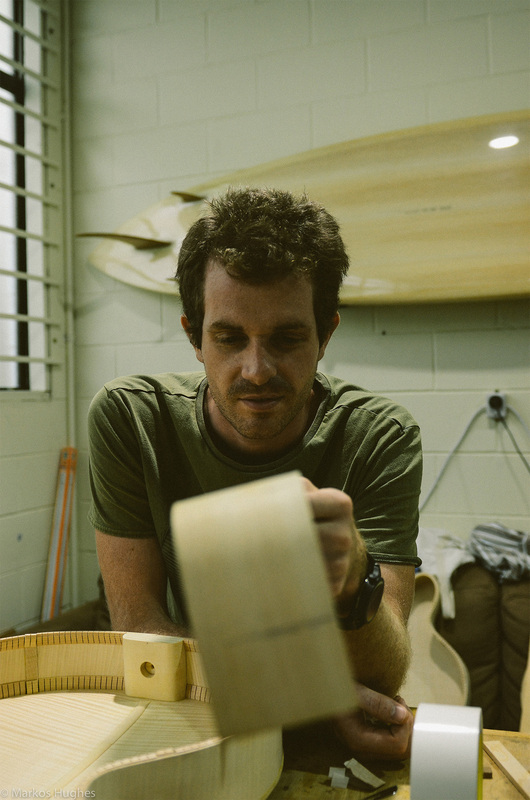 Luke Kallquist from Kallquist Guitars is a Brisbane based Luthier, making traditionally inspired instruments specialising in acoustic guitars. The aim is to create instruments that have that "played in" sound and feel of the highly sought after vintage instruments. Hand tools are used to do the majority of the work and machinery and power tools kept to a minimum. There is a standard line of instruments available based on a variety of classic models. Available in a multitude of timbers. The majority of work though is Custom order Guitars. 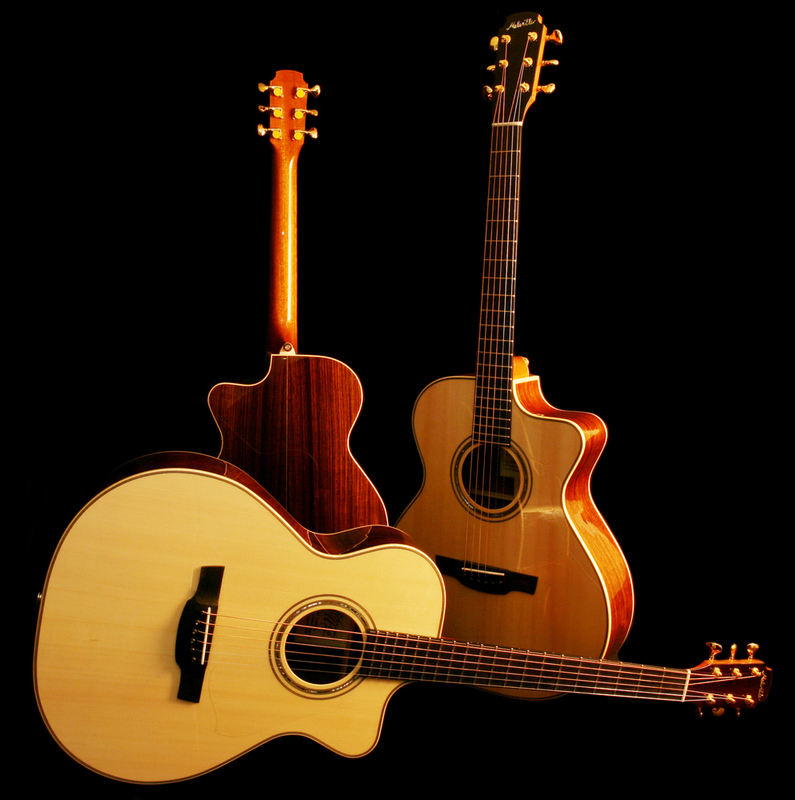 Guitars that are made to suit the customer on all levels, sound, feel, and aesthetics.The customer is involved in the whole process from wood selection and design to final set up. 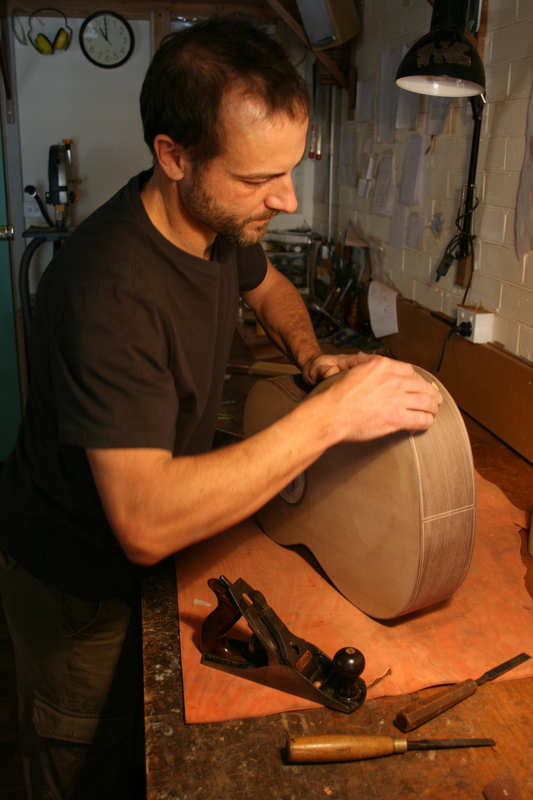 Simon Rovis-Hermann is a Fremantle based Luthier with over 25 years experience. 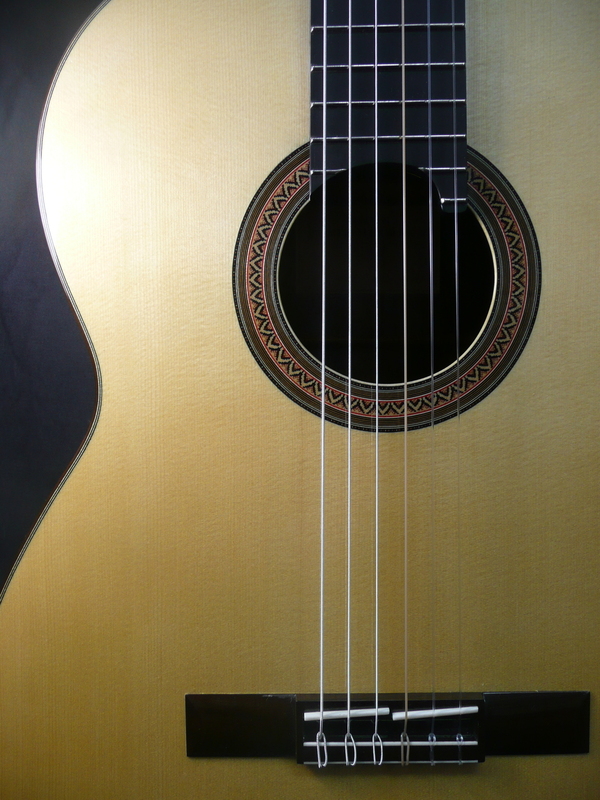 He crafts high quality modern classical guitars and replicas of the nineteenth century masters. Guitarists of international renown such as Pavel Steidl and Karin Schaupp own and perform on Rovis-Hermann guitars. Simon has had his instruments featured at various international festivals around the world and had the privilege to be an artist in residence at the Cite Internationale des Arts in Paris. He works using traditional techniques, materials and tools combined with modern designs and principles to create responsive instruments of great tonal beauty for the concert guitarist. Based in Melbourne Andrew Duganzich has been building guitars part time for over 23 years. As a teenager, Andrew began making electric guitars and basses before attending a week long course and moving to acoustic instruments in his early twenties. 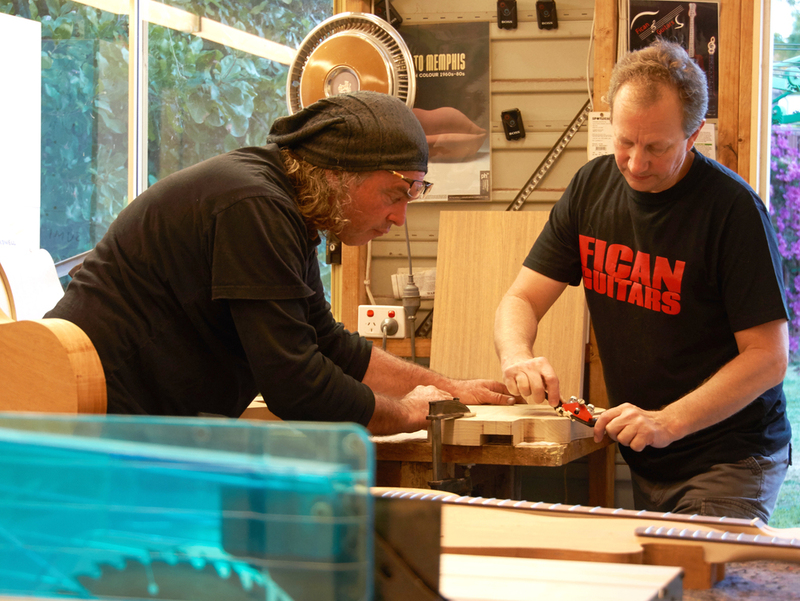 For the past 11 years he has worked for the Maton guitar company where he has been privileged to make instruments for some of the biggest names in the music industry including most recently a one off acoustic electric for Keith Richards. Drawing on years of small personal workshop and large scale production techniques Andrew currently focuses on building the finest quality classical guitars , an instrument he has played and loved since a young age. Laurie has been building instruments in his native New Zealand for over 20 years. He builds his instruments in his workshop nestled between giant kauri forests and the untamed pristine beaches of New Zealand's Far North. Laurie's use of indigenous timbers is a trademark of his unique instruments. One of Laurie's specialties is the strikingly beautiful and rare ancient kauri that he often uses for the back and sides of his instruments. This wood is recovered from peat swamps where it has lain, perfectly preserved, for many thousands of years and is the oldest workable timber in the world. Richard Morgan is a maker based on the north coast of Tasmania specialising in steel string guitars and mandolin family instruments. Over the past six years he has focused on refining his unique soundboard design which is now evident across all his instruments. Richard is currently working on a number of instruments for the festival including a classical guitar, a twelve string guitar, a ukulele and a mandolin. Ormsby Guitars is an Australian company headed up by Perry Ormsby, dedicated to making very high quality electric guitars and basses, many of which are multi-scale and feature ornate inlays. Barry Kerr is the luthier behind 'Woodtone' Guitars. 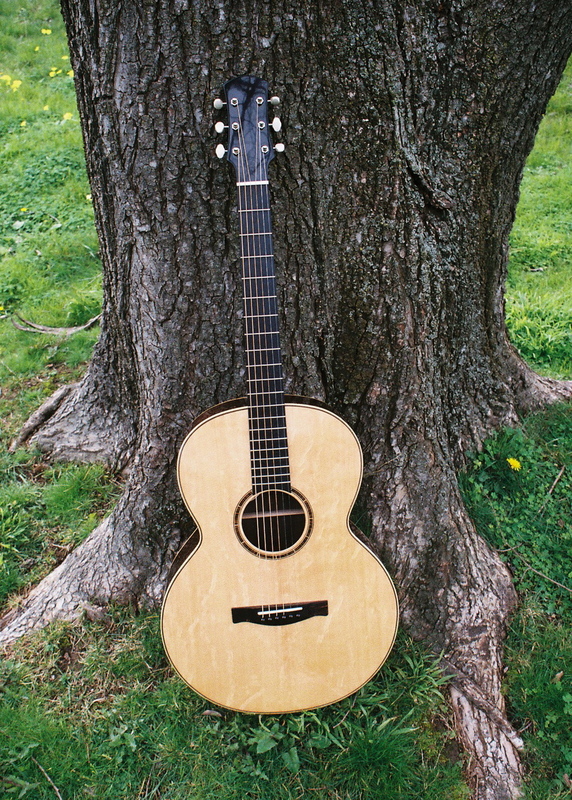 He began building acoustics in 1984 and specializes in OM size Brazilian rosewood models. Carved arch-top guitars are also part of his specialty. The choice of wood is paramount to Barry; each instrument being unique aesthetically. His instruments are often singled out for the exceptional finish, a super high gloss 'wet look' achieved by stretching out the finishing process over many months. Barry builds all his guitars now on 'spec' with no commissions or custom orders available. Collectors and enthusiasts both here and overseas are investing in these unique and big sounding instruments entirely hand made by one of Australia's long standing artisans. Informed by his studies in Fine Art/Sculpture, Furniture Design/Craft and Anthroposophy, Francis’s work is imbued with feel, texture, beauty and practicality. As a designer/maker in these fields for several years, he has developed a unique approach to design aesthetics and functionality. Francis’s delicate and intuitive sensibilities of line and form coupled with his innate relationship with the materials comes to full expression in the art of luthiery. Tim Wright puts his 40 years playing and 20 years lutherie experience into tailoring guitars to suit a player choosing from a large supply of well seasoned tone woods. He builds traditional models and through body and timber choice and manipulation of the weight and points of flexibility in the bracing pattern produces a huge variety of tones from the thick woody vintage mahogany tone to a well balanced even piano type brightness. 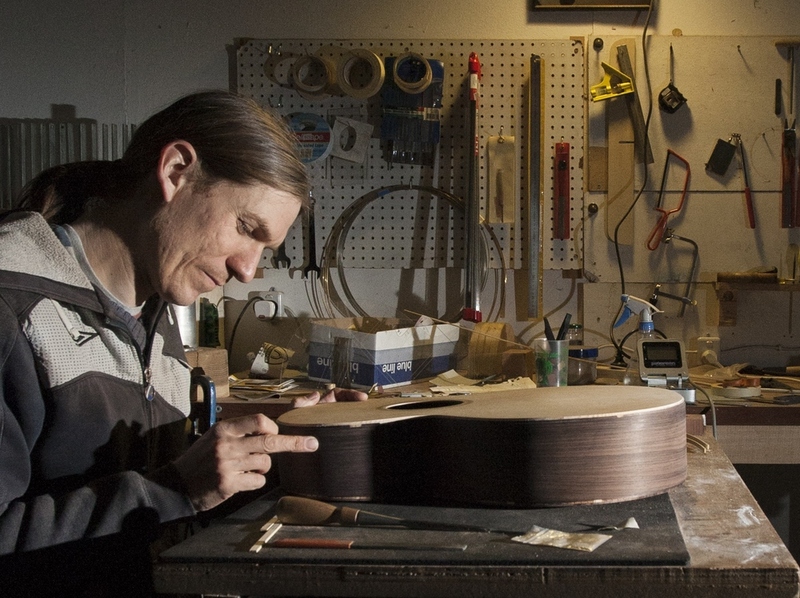 Trevor Gore builds fine classical and steel string guitars. Having learnt the trade building traditional guitars in traditional ways, he figured that much of the myth and legend surrounding the building of great guitars just didn’t make sense. As a trained engineer and researcher in previous lives, he decided to completely re-engineer the way his guitars would be designed and built. Whilst still looking like guitars, they are different in almost every way, playing significantly louder and much more in tune over the fretboard than the vast majority of guitars you’ll find in a high street store. Alan builds concert classical guitars at Longley in the southern foothills of Mt Wellington in Tasmania. He is constantly searching for the best possible balance of tonal colour, clarity, power, response and sustain and has adapted the traditional fan bracing into a lightweight, asymmetric grid design. This supports a soundboard which is thinner than traditional but thicker than lattice-braced designs and mounted on a rigid laminated body to maximise projection. Allan has also developed a small-body, short-scale design which greatly improves the ergonomics of the instrument whilst retaining the power and presence of a concert guitar. 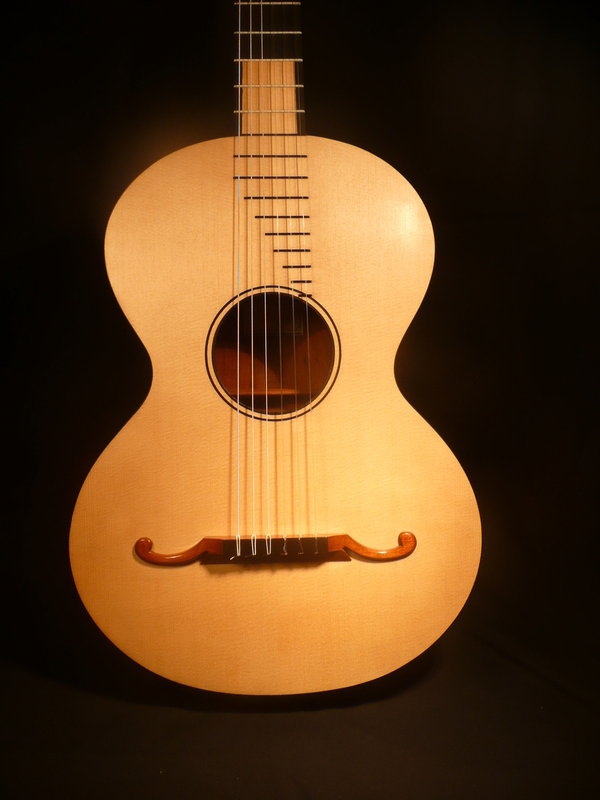 In the boutique-luthier category, Tasmanian born Gary Rizzolo now residing in Melbourne, builds a wide range of instruments, from archtops, steel string, classical, ukuleles, electric guitars and basses. Known for 6 and 7-string archtops, he is passionate about acoustic instruments. Rizzolo likes working with highly figured exotic varieties of timber although Tasmanian fiddleback blackwood remains his favorite. Rizzolo has appeared in many documentaries, books and magazine articles and his guitars are to be found in many parts of the world. Tony started playing guitar at the age of 12 and played professional in Melbourne for around 10 years. Following this he turned more toward academia getting a Degree in Electronic Engineering and a Degree in Applied Physics. He worked for an Aerospace company before spending 3 years in Antarctica as a Physicist. While transcribing Paganini's Caprice 24 to guitar, he realised a 24 fret classical guitar with a size-able cutaway would be very handy for this piece. The inspiration for the design was born. His first prototype was built in 2010. Even though he have a very technical background, Tony strongly favours the 'Old school' approach to building, using old hand tools etc. His bracing is created from split blanks, the construction is mainly done using Hide glue and the finishes are all French polished. His main focus is developing his own asymmetrical design which at this stage is using the traditional Fan brace approach. Tony would like to think he offers something a little different which incorporates some modern ideas, a strong physics approach while respecting the traditional methods used by great luthiers of the past. A passionate musician, in his middle years Andrew turned to guitar making. His Acoustic Planet Series from 2012 is the epitome of his ability to work with a creative concept, producing instruments that are playable yet aesthetically pleasing. In his last months before he succumbed to Melanoma, these guitars were the focus that defined him as a person, not a disease, demonstrating that a creative output can make dying a process of truly living. His favourite of the series was Mercury, the wings of which exemplify this ability to dwell where life transcends adversity.